We encourage you to make reservations as early as possible. The hotel rooms at conference are may sold out earlier because of limited availability. The 23rd European Test Symposium will take place at the Swissôtel Bremen in the north of Germany. Swissôtel Bremen is a Business hotel with excellent service in the heart of historic Bremen. The central position gives a magnificent view over the Bremen city wall and the hotel sits within walking distance to all major attractions like the town musicians and the charming Market Square of Bremen. 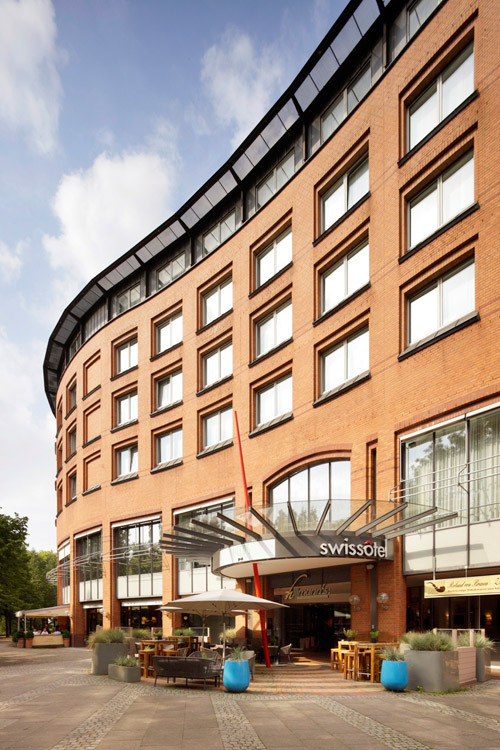 The Swissôtel is located in the city center of Bremen. The Free Hanseatic City of Bremen is well-known for its historical sites such as the two UNESCO world heritages town hall and the Roland statue. The authentic and delightful riverside city offers in short distances a fascinating mix of historical industrial architecture and modern, urban lifestyle. Locals as well as visitors and tourists can benefit from the relaxed beauty of the large green parks and the amazing river promenade. Apart from that, Bremen is a major economic hub with the second largest port in Germany, various multinational companies and up to 50 technical research institutes. The conference venue is in walking distance from the main station. This should take about 5 minutes. As an alternative, you can also take the tram (line 4 direction Arsten; line 6 direction Flughafen/Airport; line 8 direction Huchting or the bus 24 direction Rablinghausen as well as the bus 25 direction Weidedamm-Süd) from the main station to the stop Herdentor. The stop is directly in front of the conference venue. 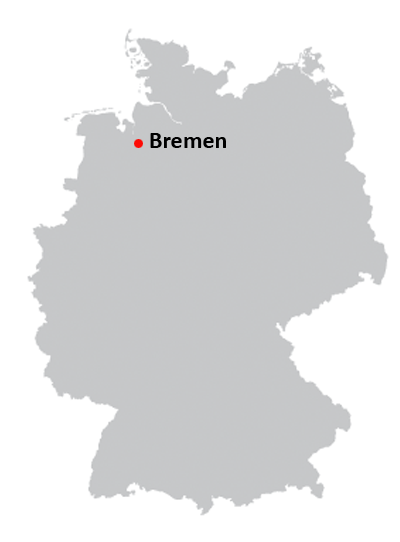 Bremen is easy to reach by plane due to the connection to the large european airport hubs (e.g. Frankfurt, Munich, Amsterdam, Paris and more). The airport Bremen is located near the city center. In order to reach the conference center, take the tram (line 6 in direction Universitaet) from the airport to the stop Herdentor. The stop is directly in front of the conference venue. The duration is about 15 minutes. If you choose to take a plane to the airports of Hamburg or Hanover due to the better international connectivity, you can take a train to Bremen. Hamburg: Take the S1 in direction Wedel to Hamburg main station (Hauptbahnhof/Hbf) approx. 25 minutes. From there, board an IC or ICE to Bremen Hbf (approx. 1 hour). Reservations for the IC/ICE are not needed but recommended. Hanover: Take the S5 in direction Hameln to Hanover main station (Hauptbahnhof/Hbf) approx. 20 minutes. From there, board an IC or ICE to Bremen Hbf (approx. 1 hour). Reservations for the IC/ICE are not needed but recommended.